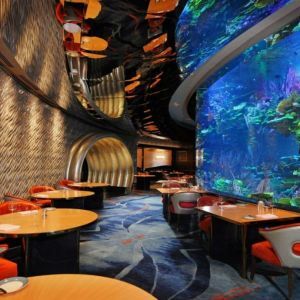 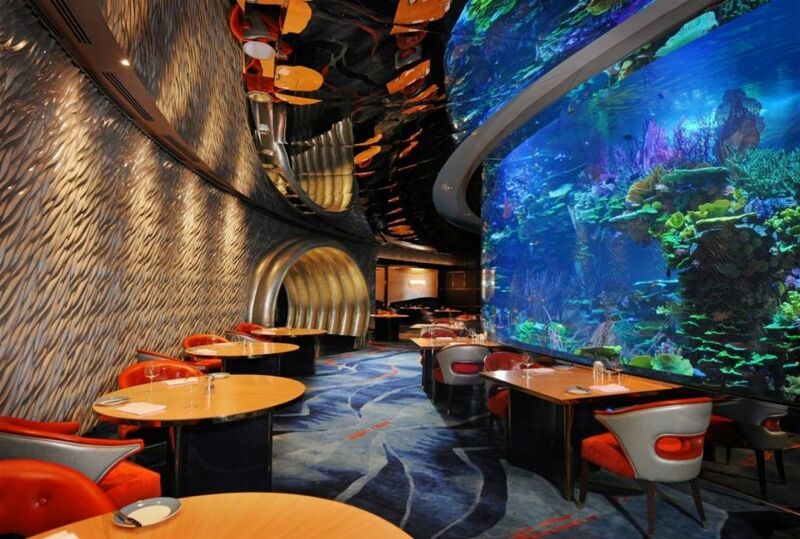 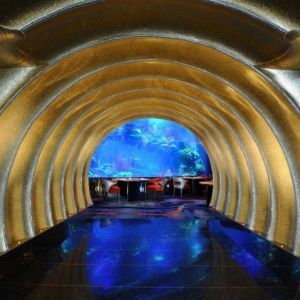 Al Mahara, an award winning seafood restaurant, is on the first floor of Burj Al Arab Jumeirah. 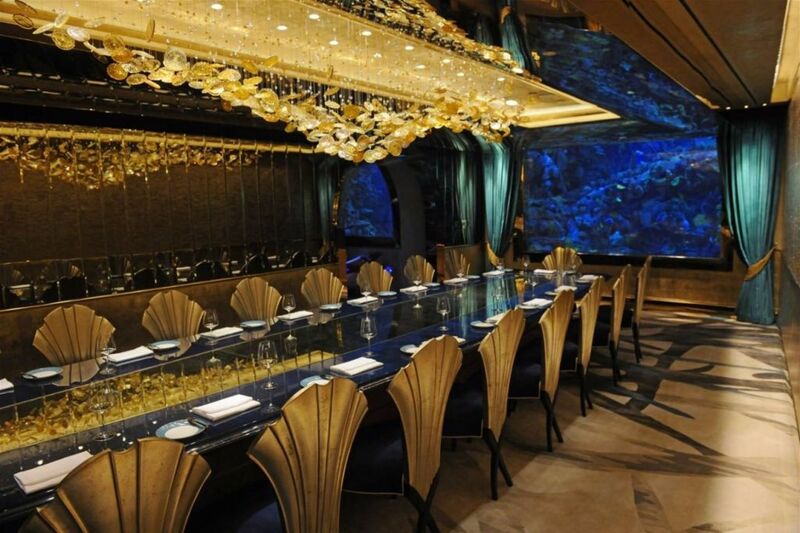 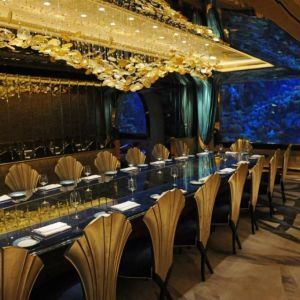 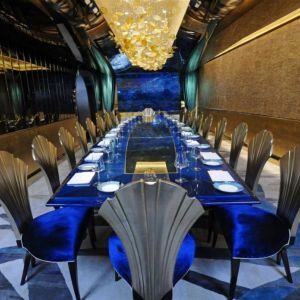 The restaurant was reimagined to accompany the new seafood menu. 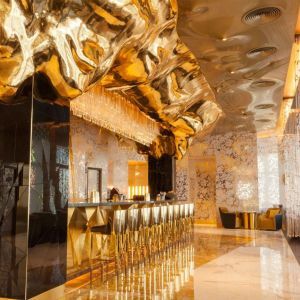 The interior design work is by Kristina Zanic Design Consultants, based in Dubai. 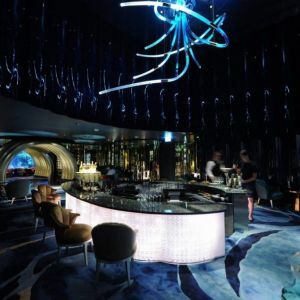 PRECIOSA, in collaboration with Kristina Zanic, designed and developed three lighting installations, which are inspired by the Deep Ocean. 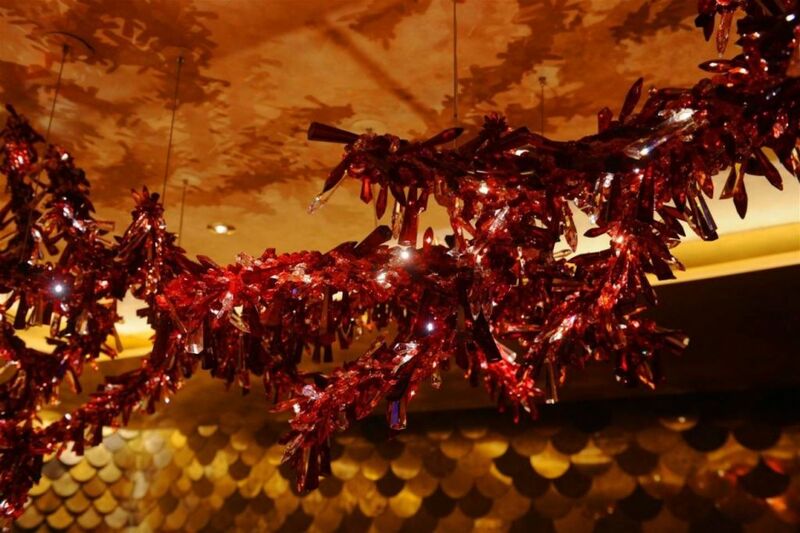 Elegance and passion for the mystique octopus is embodied in an art chandelier by Jan Sipek. 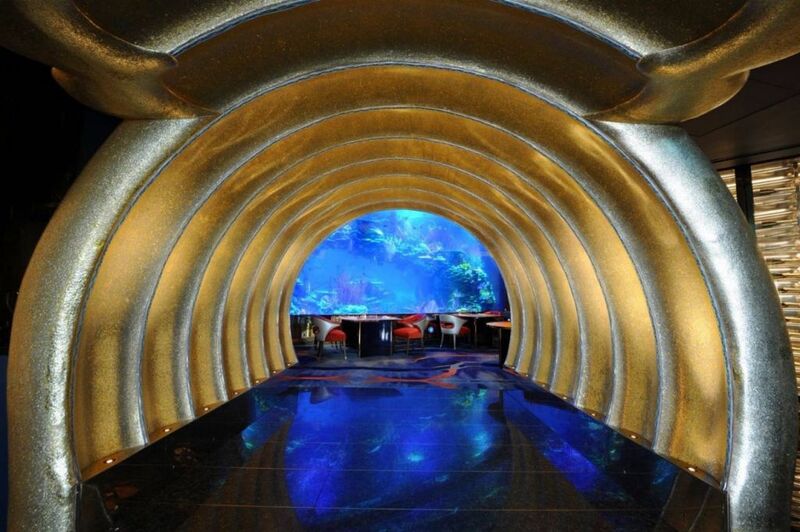 This main feature of the Juna Bar weighs 400kg and is 3 meters in diameter. 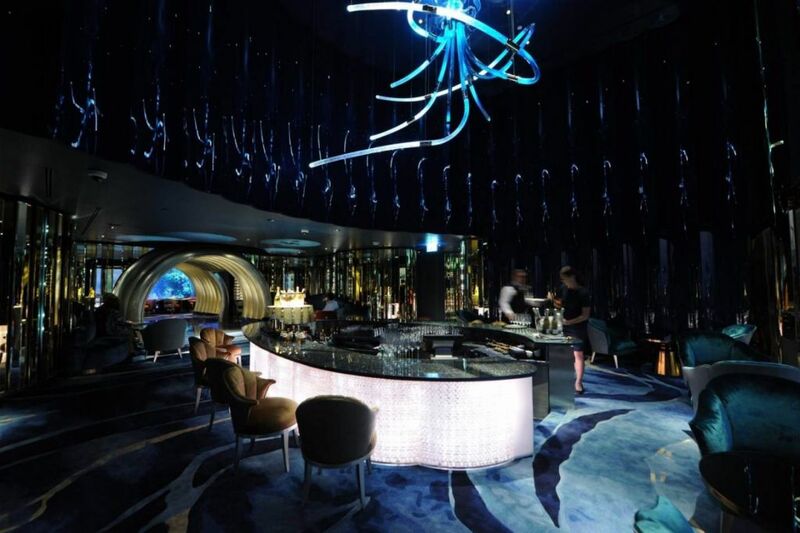 It is composed from hand blown clear and Sinien blue Bohemian crystal, inset with bubbles. 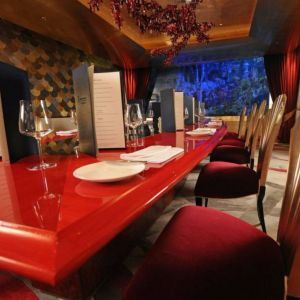 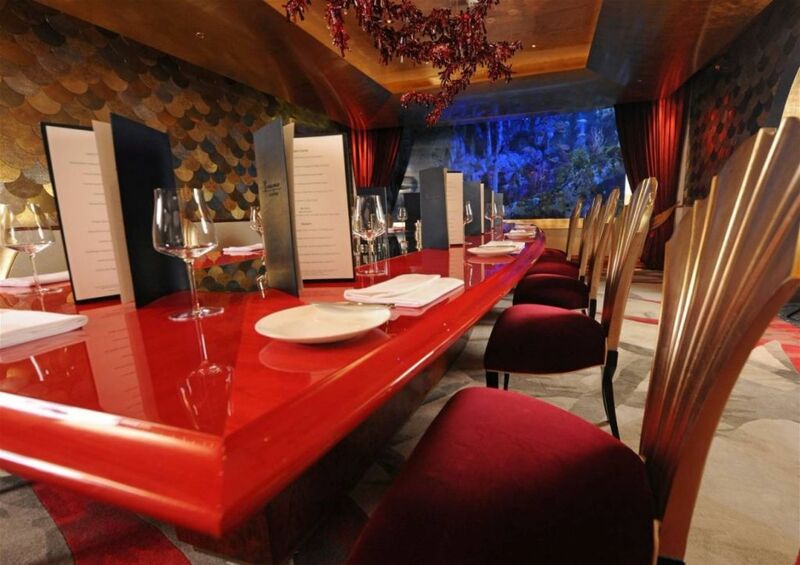 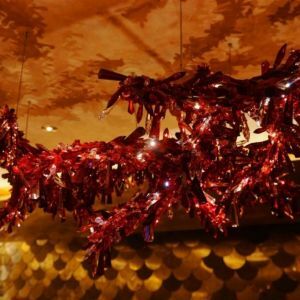 A glass coral formation is set up in first the private dining room, made up of four segments of red crystal trimmings. 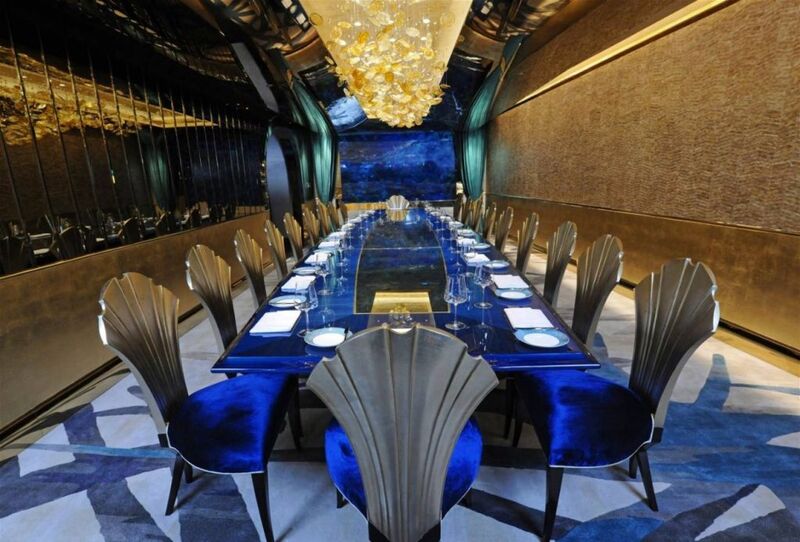 A treasure chest was the inspiration for lighting in the second private dining room. 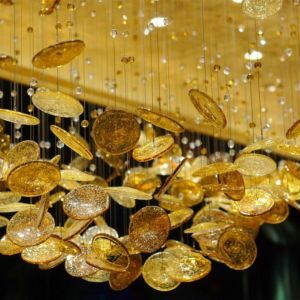 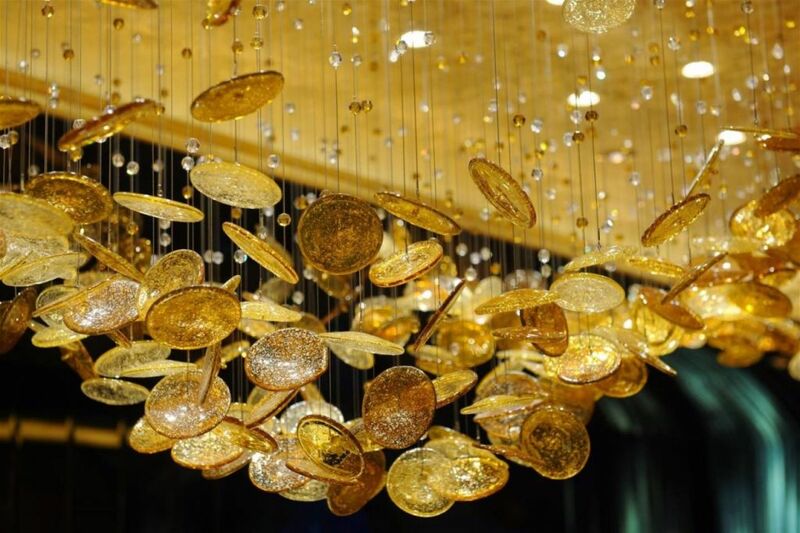 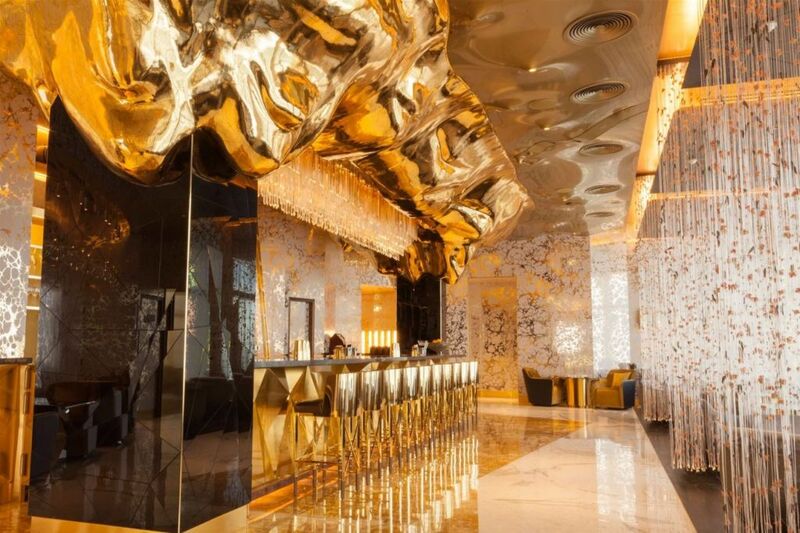 It is 4,5 meters long and composed from hand blown crystal glass and hand cut champagne colored trimmings, with amber and topaz bubbles and gold dust.